Born of partial Dominican heritage, John Jackson was raised in Brooklyn by his mother, where he established a local reputation rapping under the name Fabolous. Eventually this led to an on-air audition for radio host and mixtape mogul DJ Clue; inclusion on the Hard Knock Life tour and various mixtapes soon followed, but it was his appearance on Lil' Mo's #1 single Superwoman, Part 2 that pushed him into the public consciousness. Clue later signed the rapper to the newly-founded Desert Storm label. Loaded with guest input from Lil' Mo, Timbaland, Ja Rule, production team The Neptunes and others, his 2001 debut release Ghetto Fabolous achieved immediate popularity in both the rap and pop fields, particularly through the single I Can't Deny It. 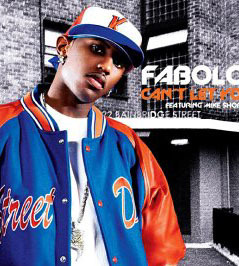 With his first album officially establishing Fabolous as "hot property", a rash of requests for guest appearances ensued, bringing about contributions to records by Mariah Carey and Mary J. Blige. Another successful duet with Lil' Mo, 4Ever, had its way with the charts in 2003, while his own second release Street Dreams didn't quite match up to the standard set down by its predecessor, suffering somewhat from a backlash against the rapper's shallow, materialistic content. A companion release, More Street Dreams, Part 2: The Mixtape, surfaced later the same year. 2003 also saw Fabolous taking the time to further establish his "gangsta" reputation by way of three arrests (two for firearm possession and one for driving with a suspended license) in the space of three months.